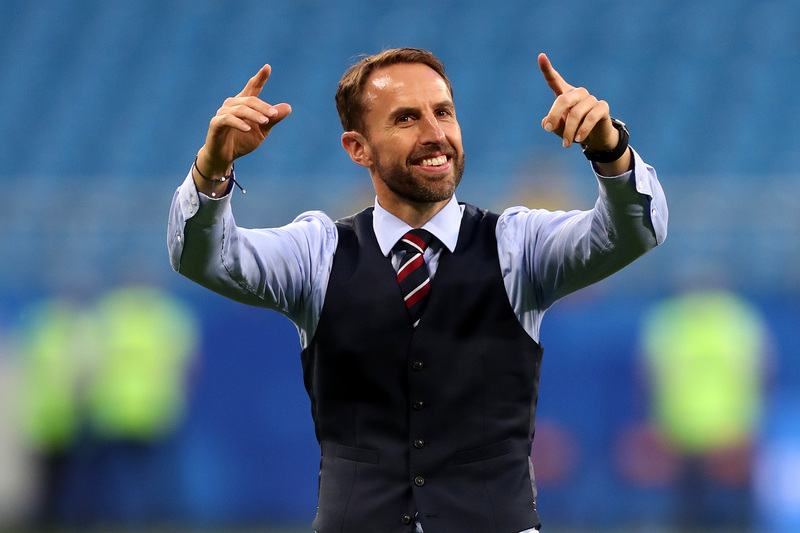 The World Cup has seen England manager Gareth Southgate become a style icon, with him influencing a spike in sales of waistcoats. Footballers, for years, have been influencing what we wear, how we style our hair and even how some of us speak. Whether it's the World Cup, the Euros, or league football, there's always a wannabe trendsetter trying to start a craze (and sometimes ending up being laughed at on a global scale). We look at some of the trends that have come from football and influenced fashion. The England manager's three-piece suit look has become the defining World Cup fashion trend of all time, most probably. Gareth Southgate has become somewhat of a style icon over his dapper look on the touchline, with sales of waistcoats through the roof. In fact M&S have been running out of the waistcoat, which has become fashionable again. Obviously the football being played has been the real talking point, but Southgate's look has been talked about as much as Jordan Pickford's goalkeeping heroics, Harry Kane's goalscoring habits and Harry Maguire memes. After the 1998 World Cup exit to Argentina, David Beckham came home a bit of a villan after getting sent off in the match. However, he quickly became the golden boy and a pin-up for English football, with the hopes of the nation resting on his shoulders for the future of the national team. In 2000, he decided to show up to Manchester United's training sporting a eye-brow raising haircut. 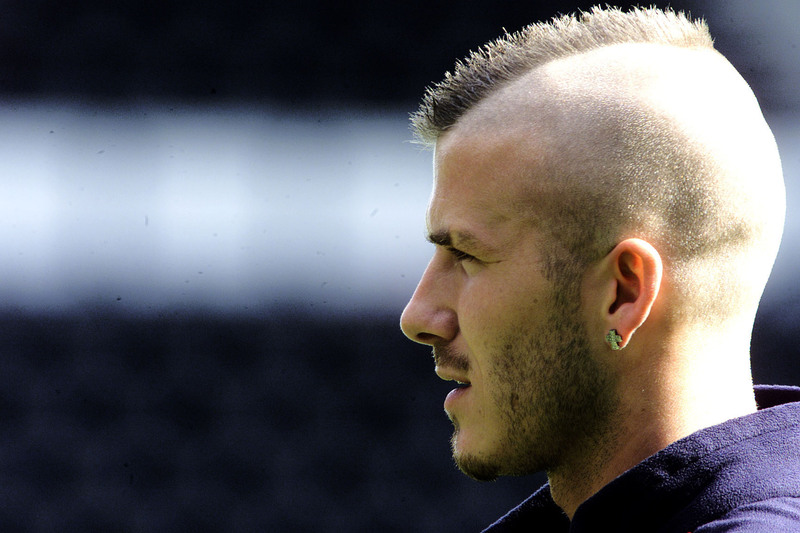 Yep, if you're a fan of early 00s football, and David Beckham, you'll remember his iconic mohawk. It made big news when Becks decided to shave his head, apart from one single line in the middle. The Mohawk trend was born, but luckily he shaved it off a few weeks later and all was forgotten. 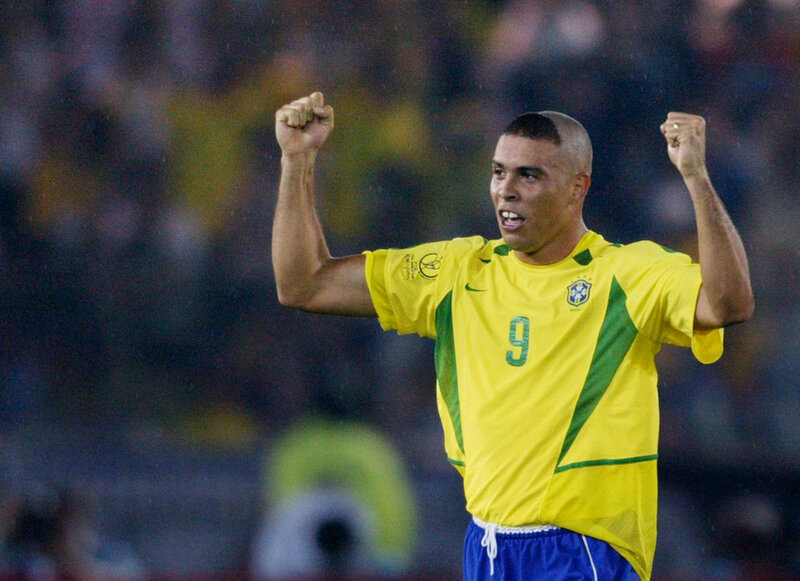 In the 2002 World Cup held in South Korea and Japan, Ronaldo, or The Ronaldo, was Brazil's star striker and the best football player in the world at the time. However, his haircut raised a few eyebrows when he made his first appearance against Turkey. His head was completely shaved, with just a little semi-circle tuft left at the front. We're not sure if he was trolled by his barber, but we can only assume he didn't go back there afterwards. The Colombian legend is still celebrated now by the South American country. His blonde locks were the stuff of legend during the 90s, some arguing it eclipsed his footballing capabilities (it didn't) and putting him in World Cup folklore. 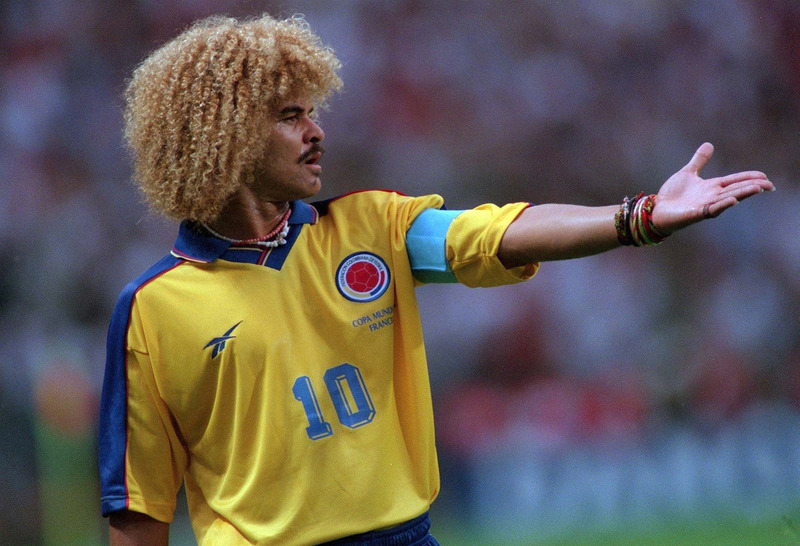 During the last 16 knockout game between England and Colombia, fans were spotted in the stands donning huge blond curly wigs in recognition of their national hero. The mullet: A hairstyle that should be left in human history as a mistake. It became a fashion-trend for a short while, which looking back is an insult to hair. 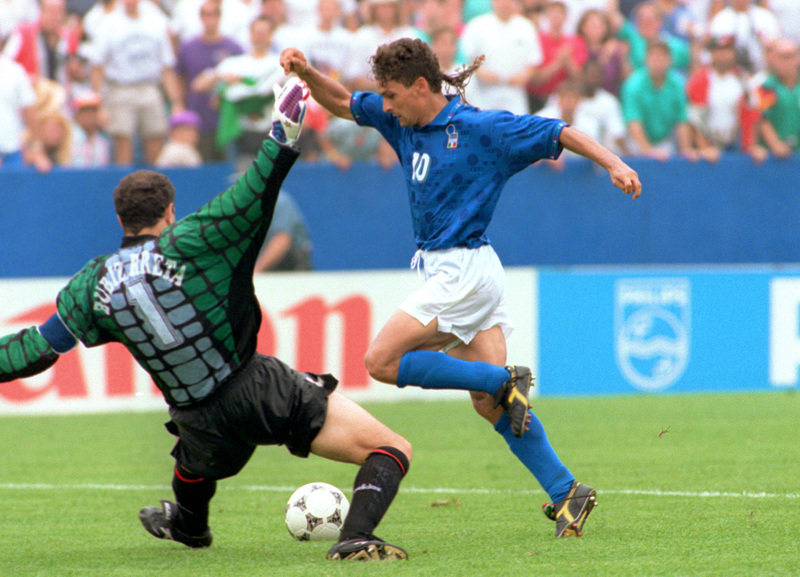 During the 1994 World Cup in America, Roberto Baggio was not only Italy's favourite son, but he was also an advert for mullets (and not to have one). He tried adding some style to his mullet, with plaited cornrows dangling down from the back of his head. Luckily, it didn't catch on as he hoped and he later ditched the hairstyle for a short back and sides. It's England's old golden boy again, and this time it isn't anything to do with his conveyer belt of haircuts. This time, it’s a sarong he was snapped wearing when out on the town with his wife Victoria. A sarong is a large tube or length of fabric that can be worn around the waist to make a long skirt. The item is often worn in South Asia, the Arabian peninsula and many of the Pacific islands. However, Becks decided to wear his over a pair of black slacks. The Brazilian starlet changes his hair more than Gemma Collins gives interesting interviews to press about her new book. 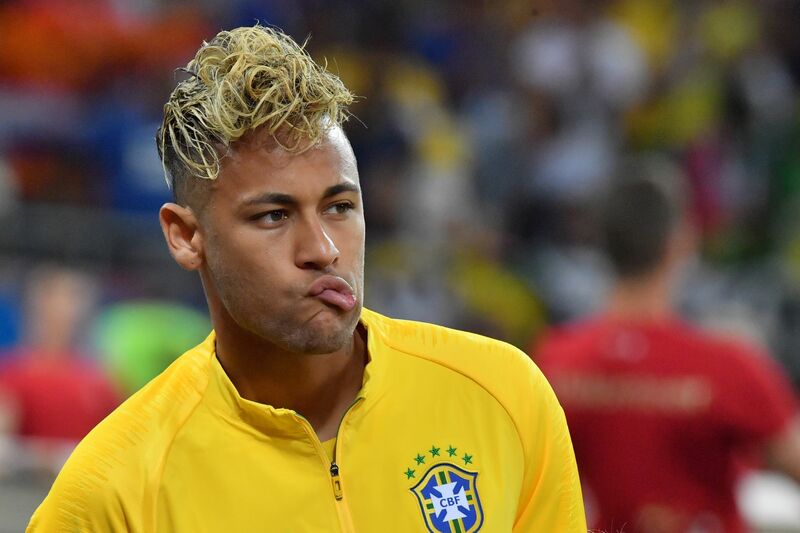 In the first game of the 2018 World Cup in Russia, he showed up with hair that not only looked like Spaghetti Junction but looked as if it was superglued to his head. Despite rolling around the floor a few times, a few headers and the environment, his hair stayed flawless. Luckily for our eyes, he dropped the look after the first match. 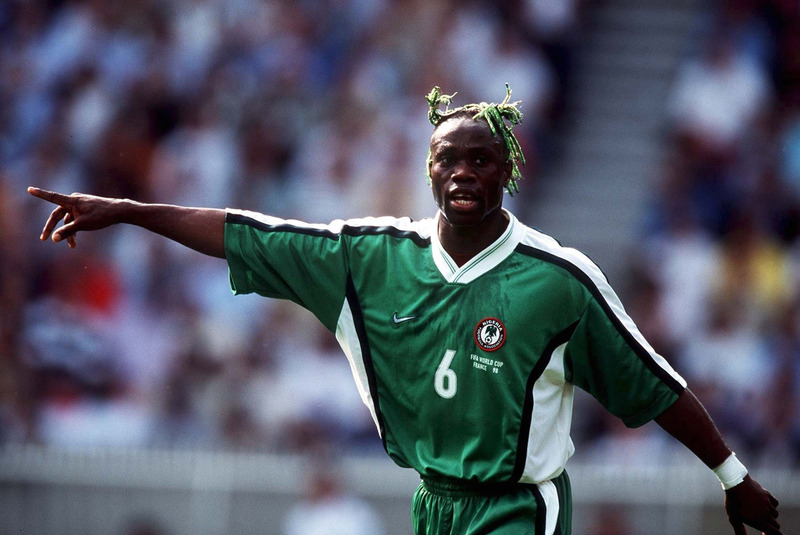 The Nigerian centre-back found himself playing in two World Cups, but it was his dodgy hairdo that people spoke about more than what he was like on the ball. On sides of his head were two green and white bunches that resembled dehydrated trees rather than healthy-looking, Princess Leia-style bunches. A legend, but thankfully these days he sports a modest shaven head. 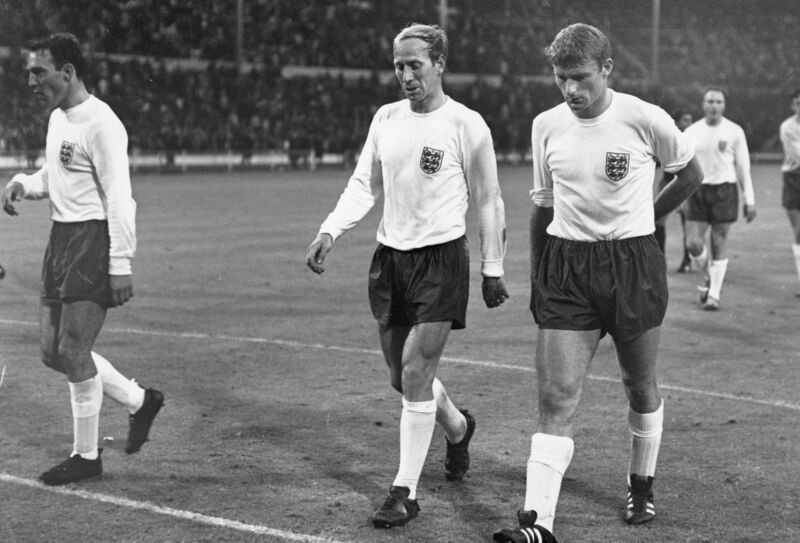 Bobby Charlton was not only a England legend, but he's one of football's greatest players. In 1966 he helped bring the World Cup home for the first and only time… for now. He made the comb-over popular, despite many heckling him for not letting his male-pattern baldness take over. 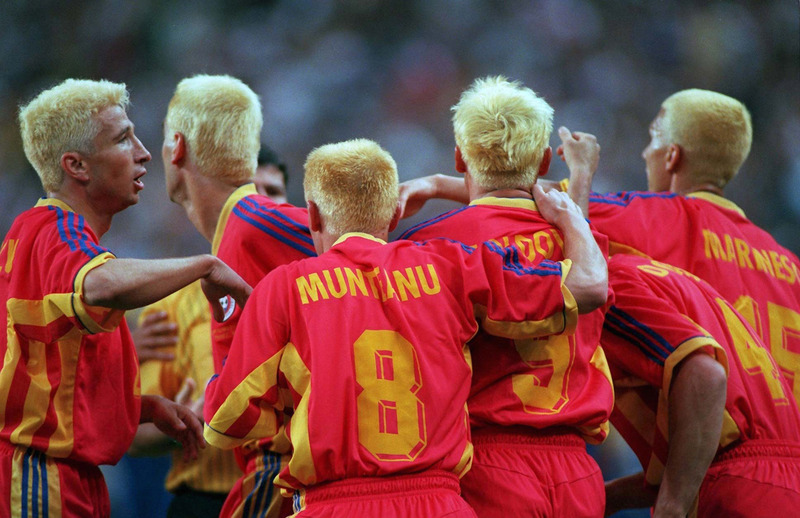 During the 1998 World Cup in France, the entire Romanian squad decided to give every commentator and referee a visual headache by dying their hair bleach blonde. The move came after they beat England in their group stage match and they thought bleaching their hair would bring them good luck, but they would later be knocked out of the group stage. But, what can be said for this bleached ensemble is that it gave Eminem some inspiration at least. They were the true Real Slim Shadies.